1 What’s in a name? Quick. Think up a good name for a typewriter. OK, how many of you came up with Typemaster? Well, apparently so did Underwood, Brother, and Lanier. 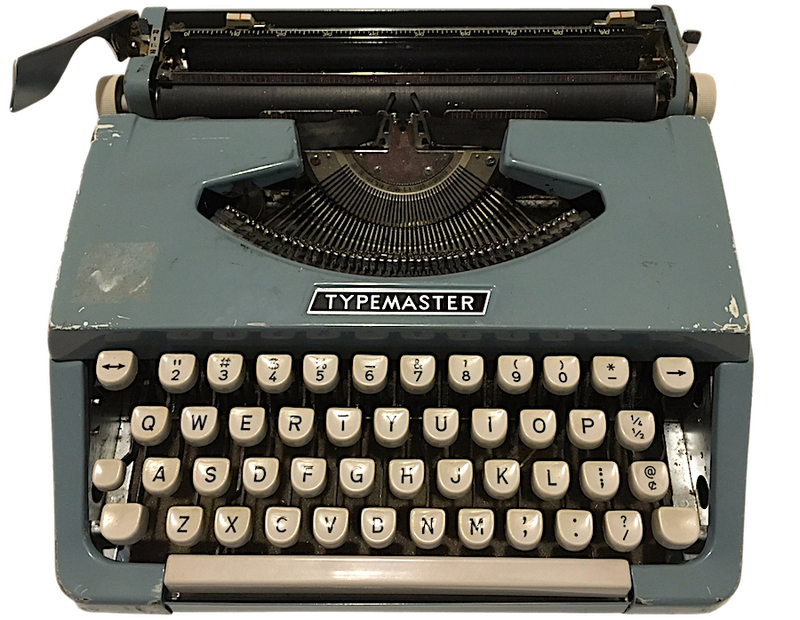 “Typemaster” first appeared in 1937 on Underwood portables, continuing through the 1970s, and also on a series of Brother typewriters sold at Goldblatt’s in the 1960s. It reappeared again in the 1980s on a series of Lanier personal computers. Who actually owned “Typemaster” as a trademark is uncertain. 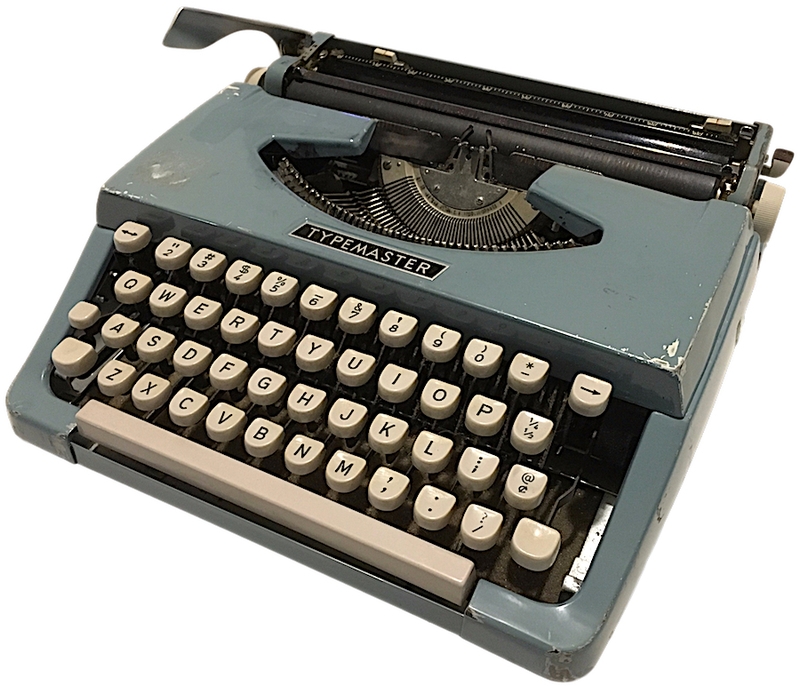 The Typemaster that occupies a spot in my collection is a hefty Brother portable that Goldblatt’s boldly advertised as lightweight — “weighs only 12 pounds.” The lid by itself tips the scales at slightly over two and a half pounds, which is heavier, for comparison’s sake, than Apple’s 11″ MacBook Air. Still, the Typemaster is a sturdy machine. An advertisement for the Underwood Typemaster also appears in 1971. My machine, as seen at TypewriterDatabase.com. I’ve never seen the Typemaster name on a Brother product before. A bit presumptuous for a small machine! 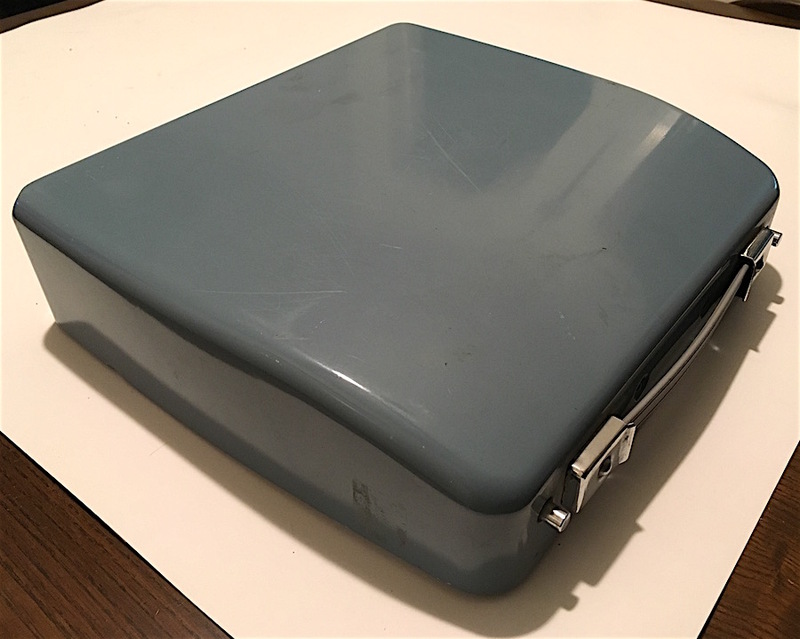 I noticed that on your index, that this portable is listed as a 1985; the metal lid tells me it’s a 1965.